Are There Any Sermorelin Clinical Studies? There have been several different Sermorelin clinical studies that have been held recently, as Sermorelin continues to be a focus of research for its anti-aging benefits and other potential health benefits. Sermorelin is a human growth hormone secretagogue, or a substance that causes the body to create its own human growth hormone. It is a polypeptide which represents the 1-29 fragment of HGH, and it is produced artificially, however it is biochemically identical to amino acid fragment that the body produces naturally. Sermorelin has been used as an alternative to HGH for specific medical purposes like anti-aging, as a height treatment, and for other purposes, and it has been clinically tested times and proven to be safe with minimal side effects. It has taken priority over HGH whenever human growth hormone is necessary for a particular medical treatment, because HGH can have a wide range of different symptoms. Sermorelin is one of the most widely tested anti-aging compounds, and it has shown to be effective at treating a wide range of aging symptoms. The side effects of the treatment are mild to non-existent because it is not a hormone therapy; it only results in the body increase its hormone levels naturally. Some of the symptoms of aging such as weight gain around the midsection, a loss of skin elasticity, a loss of energy, a lower mood, a loss of muscle mass, reduced memory and other symptoms can be treated successfully with Sermorelin. Patients have shown a fast response to the treatment, and a main benefit of the treatment is that there are self-administered options available where patients can administer the therapy to themselves while at home once it has been prescribed by a medical doctor, such as the Sermorelin program available at Nu Image Medical. Have clinical studies of Sermorelin shown any side effects? Clinical studies of Sermorelin have shown that there are only mild side effects to the treatment, and that it is perfectly safe for the vast majority of patients who need it. This is in stark comparison to HGH treatments which can often result in a wide range of different long and short term side effects, particularly when they are self-administered by patients without medical supervision. The treatment is well tolerated by the vast majority of patients, and some of the minor side effects that have been seen during clinical use can include irritation at the injection site, redness or swelling, nausea, headache, dizziness, uriticaria, and hyperactivity. The most commonly seen side effect of the treatment is irritation at the injection site, which is a symptom of any injectable treatment. Also, these symptoms were seen in less than 1% of patients who received the treatment; the vast majority of patients can receive Sermorelin injections with seemingly very few if any symptoms at all. The reason why Sermorelin has been used in clinical studies and for anti-aging is the fact that it has proven to have minimal side effects compared to HGH, and there are several scientific reasons as to why. Sermorelin avoids the negative feedback loop that results with HGH is injected directly into the body. Natural HGH production can be shut down by the body when it is flooded by HGH, which occurs when the hormone is directly injected. Sermorelin avoids this effect because it does not trigger the negative feedback loop. Sermorelin also does not result in the "square wave" release of hormone that HGH injections result in; the release of hormone is much more natural and gradual over a period of time. Sermorelin is also thought to be healthier for the pituitary gland, as the full effects HGH injections on the pituitary are not fully known. Another issue is that the off label of human growth hormone has various legal restrictions. These legal restrictions have been put in place as the result of unlicensed clinics and other retailers selling the hormone to patients without a prescription. It has become one of the most widely abused hormones unfortunately, but Sermorelin has not been regulated in the same way because it can usually only be obtained by licensed pharmacies and medical providers. The legal restrictions around HGH are intended to protect consumers from the dangers of using the hormone without medical supervision, and there certainly are many dangers, but the use of Sermorelin for anti-aging or for other prescribed reasons is perfectly legal. The important thing is to always obtain any hormone treatment from a clinic or licensed provider to guarantee that it is both pure and safe. Many of the official studies that have already been conducted on Sermorelin have focused on its ability to treat height disorders in children and to treat chronic illness sufferers. Chronically ill children and adults can have growth insufficiencies as a result of their symptoms, and Sermorelin is sometimes used as a treatment to avoid growth stunting. The studies have all shown that Sermorelin can be safely used to increase natural levels of growth hormone, and it has become a popular treatment for children because of its mild side effects and ability to gradually increase growth hormone levels over a period of time. Sermorelin is one of the main medically approved treatments used to manage various types of GH deficiencies that can occur as a result of genetics, aging, chronic illness and more. The treatment can be continued anywhere from 3 to 36 months or longer, and another main benefit of the treatment is that it is safe to use over a long period of time. Some medical providers believe that Sermorelin has a loading period of anywhere from 2 to 3 months, meaning that it takes this long for the treatment to really increase levels of human growth hormone. As a result, it is often recommended that patients start a multiple month treatment program rather than just trying the treatment for one month or a few weeks. 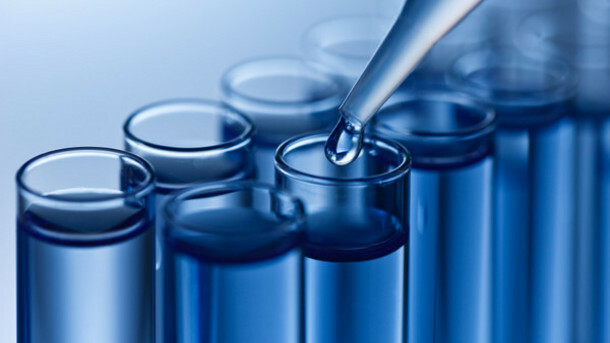 The real benefits of increasing natural growth hormone levels can be seen over a long period of time with a Sermorelin treatment, but some of the effects can be noticed more quickly as well such as the increased energy levels and mood, while other effects like reduced body fat and increased muscle mass take more time to develop. Another unique aspect of the treatment that clinical studies have found is the fact that it doesn't need to be taken for a very long period of time before it starts having an effect. The treatment can often be discontinued after a period of time, and the resulting increased growth hormone levels usually sustains itself for several weeks or months afterward. Patients can also lower their dose to a maintenance protocol once they have achieved the results that they want, and in some cases they may not even need to receive any further injections. Growth hormone injections need to be continued for as long as the patient wants to see results because they shut down the body's natural hormone production levels, and as a result the patient can become reliant on the treatment. Contact Nu Image Medical today for more information about our Sermorelin anti-aging therapy program or to ask any questions that you may have.